Pierre-Louis Dumesnil, Interior with Card Players, c1752 , Metropolitan Museum, N.Y. The "St Petersburg Paradox" is a classic problem in probability theory first formulated in the early 18th century by the Swiss Mathematician Nicolas Bernoulli. 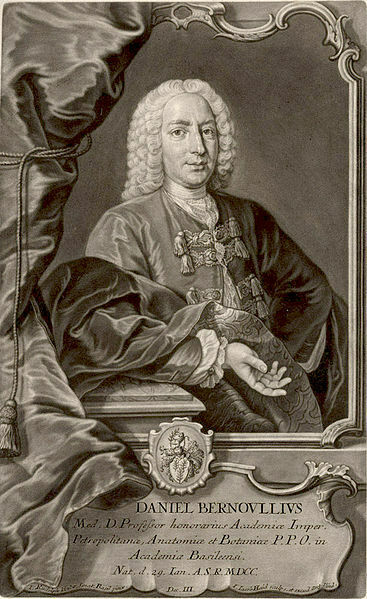 It first came to widespread attention in 1738 when Daniel Bernoulli, another of the Bernoulli dynasty, presented it to the Imperial Academy of Sciences in St. Petersburg. D'Alembert described it in the Encyclopédie article "Croix ou pile" in 1754 and returned to it repeatedly in later writings. Buffon claimed to have been introduced to it independently as early as 1730 by the Genevan professor Gabriel Cramer and come to conclusions similar to those of Daniel Bernouilli. The paradox concerns the "expected value" of a game of chance, that is the likely winnings and the amount one might reasonably pay to participate. This is calculated as the sum of (probability x winnings/loses) for all possible outcomes. This formula had been proposed in the 17th century by Fermat and Pascal and was well-known to the 18th-century theorists. The St Petersburg scenario describes a game where the "expected value" computes as infinite. A player is offered the chance to win money on the toss of a coin. The initial payout is 2 ecus and this doubles every time a head appears; the game stops as soon as tails are flipped. This gives a 1-in-2 chance of winning 2 ecus, 1-in-4 of winning 4 ecus. a 1-in-8 chance of winning 8 ecus and so on ad infinitum. What is such a game worth? In practice, the chances of winning soon become so remote that the amount of money on offer is irrelevant; as d'Alembert observed, "no reasonable man" would prefer a 1% chance of 99,000 coins over a 99% chance of 1,000 coins, even though they yielded an equivalent theoretical value. The sums involved become so huge as to make the figures meaningless - as Buffon picturesquely noted, even 29 consecutive throws represented "as much money as exists perhaps in the whole kingdom of France". Buffon suggested that very small probabilities - less than a hundredth of one percent - could reasonably be regarded as zero. D'Alembert agreed, though he pointed out that any cut-off point was necessarily arbitrary. D'Alembert himself recalculating the "expected value" in the light of his theory of recurrent events. In his view, having thrown one head, it became marginally less likely than 50:50 that the next throw would also yield a head. Even though no absolute figures could be assigned, by factoring in this "law of nature", it was possible to reconstruct the EV as an infinite series which approached zero. Modern computer simulations tend to corroborate Buffon's findings. The EV of the game increases with repetition, but remains comparatively modest. In one experiment the game was repeated times 226 (268 435 456 million) times, and the EV computed at 17.02 dollars / ecus. This suggests to some mathematicians that the paradox is miscast and infinity could never be reached. According to Gabriel Cramer and Daniel Bernouilli, the essential problem is that EV calculated in this way cannot form the basis of a general decision theory since it does not conform to the behaviour of real gamblers. "Moral expection" or perception of risk, is not based on absolute monetary value but utility. 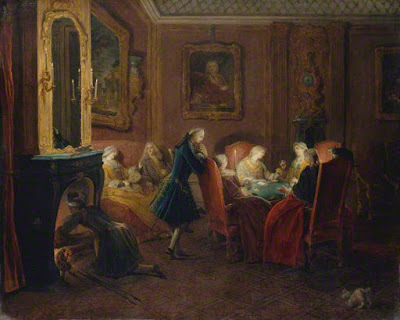 This varies according to individual fortunes: "there is no doubt that a gain of one thousand ducats is more significant to a pauper than to a rich man though both gain the same amount". Bernoulli to proposed a calculation based on diminishing marginal utility: the higher the payout the less it was worth. This enabled him to recast the EV of the St Petersburg game as an incrementing series with a finite value. See: Wikipedia, "St. Petersburg Paradox"
D. Bernoulli, “Exposition of a new theory on the measurement of risk" Econometrica, 22 (1954), 23–36. Georges-Louis Leclerc de Buffon's "Essays on Moral Arithmetic"
L. J. Daston, "D'Alembert's critique of probability theory", Historia Mathematica 6 (1979), p.259-79. Casanova, lover and lottery impresario? The "Thirty Maidens of Geneva"